It is the time of the year again where the No.1 Scotch whisky brand invites Malaysians to experience exhilarating indulgences with the new CIRCUIT NIGHTS series! 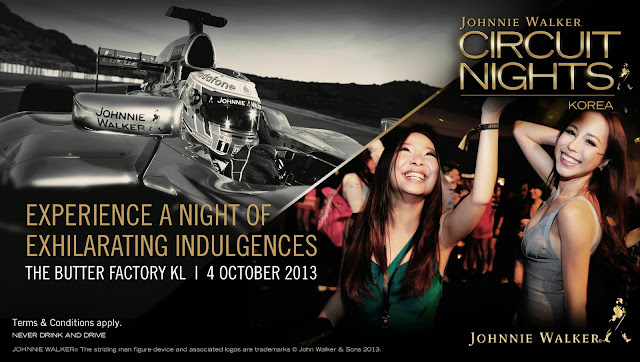 To be honest with you, this would actually be my first ever attending a JOHNNIE WALKER event and I am super excited! Loyal fans from across the country, prepare yourselves as the new series of race parties is going to give you an opportunity to experience the motorsports's glamorous and sophisticated lifestyle. We as the guests will be treated to the exquisite signature cocktails of JW, such as the crowd's favourite, "Fresh Gold" and "Johnnie Gold Fashioned", both crafted from JOHNNIE WALKER GOLD LABEL RESERVE. The fun in drinking does not top there because there will be a unique and bespoke new cocktail called "Circus Night" as the introduction of the series. 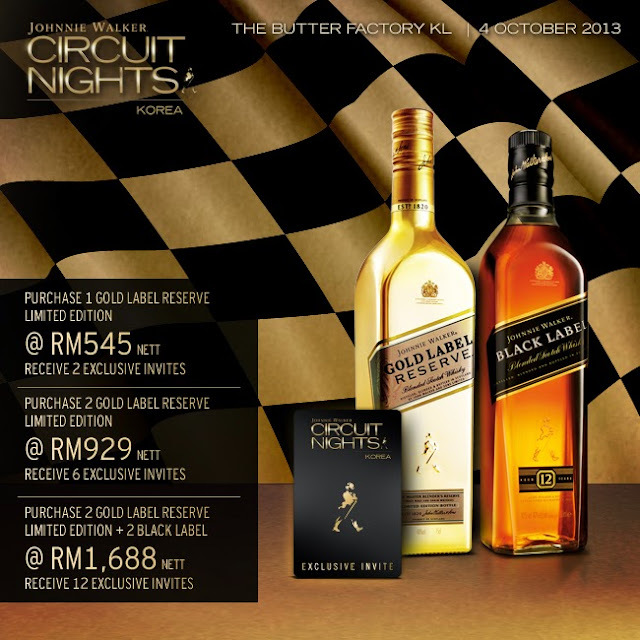 Being one of the well known whisky brands, JOHNNY WALKER CIRCUIT NIGHTS series maintains their exclusiveness in brand's commitment to innovation and luxury. This commitment is shared with non other than Vodafone McLaren Mercedes™ Formula One® team, and yes they are in partnership! This pioneering partnership through the STEP INSIDE THE CIRCUIT™ campaign has provided money can't-buy insider access into the elite motorsports world and fans around the world can expect a whole new exclusive and exciting experience. As much as we want to have lots of fun and party our night away, remember JOHNNIE WALKER® global responsible drinking initiative, JoinThePact. For each JOHNNIE WALKER® event, JoinThePact is featured for fans to make the pledge to "Never Drink and Drive". Sacrificing our life for an amazing fun for one night is not worth it right? ;) We all know that the winners in the motorsports are often the ones in control, so enjoy responsibly and JoinThePact! Okay I think right now all you want to know is how to get your hands on the exclusive passes! But... you may also win passes to these exclusive parties, visit JOHNNIE WALKER's Malaysia Facebook page here to grab the opportunity to win passes.